University of Nottingham > Blogs > Liberal Arts > Uncategorized > Why choose Liberal Arts at Nottingham? 7 reasons. Why choose Liberal Arts at Nottingham? 7 reasons. Liberal Arts is relatively new within universities in the United Kingdom but it really is the oldest subject you can study. In Ancient Greece and Rome, it was thought that studying a range of disciplines, rhetoric, grammar and logic, were essential components of citizenship. In the great medieval universities of Bologna and Paris, this was expanded to seven liberal arts, which were created to enable scholars to receive a broad training in areas of enquiry and to draw together knowledge rather than confine it to specific areas. These seven liberal arts were rhetoric, grammar, logic, arithmetic, geometry, music, and astronomy. At the University of Nottingham, we have taken these traditions and created a modern Liberal Arts programme. This degree provides a comprehensive education in the arts, humanities and social sciences whilst developing skills that are valued across a range of sectors by emphasising a breadth of knowledge, intellectual ability and innovation. 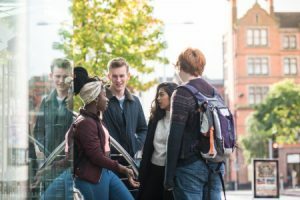 For our Liberal Arts degree, we have seven reasons for studying at the University of Nottingham. 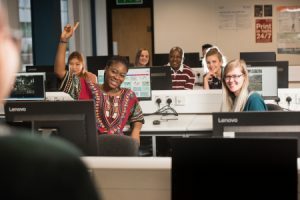 Reason 1 – Choice: At the University of Nottingham we work with you to develop a degree programme that is individual, which enables you to explore new areas of study and provides world-class facilities to gain a wider understanding of the arts, humanities and social sciences. You can choose from 15 different subject areas to build their own degree that is tailored to their interests and future careers. Reason 2 – Support: The basis of a Liberal Arts education is working closely with tutors and support staff to enhance your degree experience. Within the Liberal Arts team, you will work with tutors to select modules, develop new approaches and think about conducting work across disciplines. We are one of the best research universities in the world* and we want to share this with our students. Reason 3 – Innovation: A Liberal Arts degree is more than a collection of different approaches; it is a way of learning that connects ideas and methods to create innovative solutions. Within our core Liberal Arts modules we work with you to develop interdisciplinary scholarship, to begin looking about how we can use ideas from across different subjects to think differently. Reason 4 – Collaboration: Within Liberal Arts, students who want to study politics and philosophy share ideas with students of film and media, or those who focus on history and literature. This conversation across disciplines generates new connections. We research and we think in teams to design, create and build. Liberal Arts focuses on collaboration and communication to develop skills, confidence and knowledge. Reason 5 – Engagement: Throughout a Liberal Arts degree, you will have the opportunity to learn new languages or to gain experience and skills with local businesses, charities and institutions through our Nottingham Advantage Award. You can take a semester abroad at our campuses in China or Malaysia, where you can develop your Liberal Arts knowledge in new fields such as business and economics. You will also have the chance to study a year abroad in our partner institutions across Europe and North America within our wider university schemes. Reason 6 – Employability: Studying Liberal Arts is about creating opportunities and we support you to explore the exciting career options that the degree provides. On our Liberal Arts degree we focus on shaping knowledge and skills that have direct reference to your career choices or guide you to postgraduate study. Liberal Arts students are adaptable and innovative and able to take careers in the arts, business, cultural, education and finance sectors. 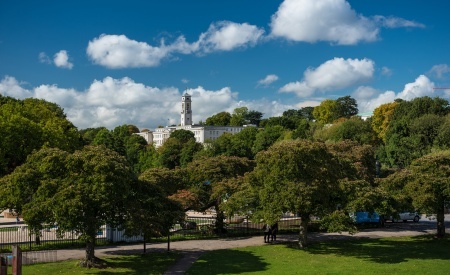 Reason 7 – Environment: The city of Nottingham is an ideal place to study Liberal Arts, it’s a city with a proud heritage, a dynamic present and an exciting future. As a UNESCO City of Literature, it is one of the most stimulating, student-friendly and affordable cities** in the United Kingdom. From the medieval buildings to the modern streets, from the Creative Quarter to the Innovation Park, this is a city that inspires and drives forward innovation. Nottingham is a place for Liberal Arts students to thrive. 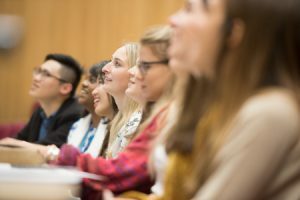 Why Liberal Arts at the University of Nottingham? News, views and experiences of Liberal Arts staff and students at Nottingham. Our Liberal Arts courses allow students to explore their interests within a framework of problem-solving, enquiry and global exploration.